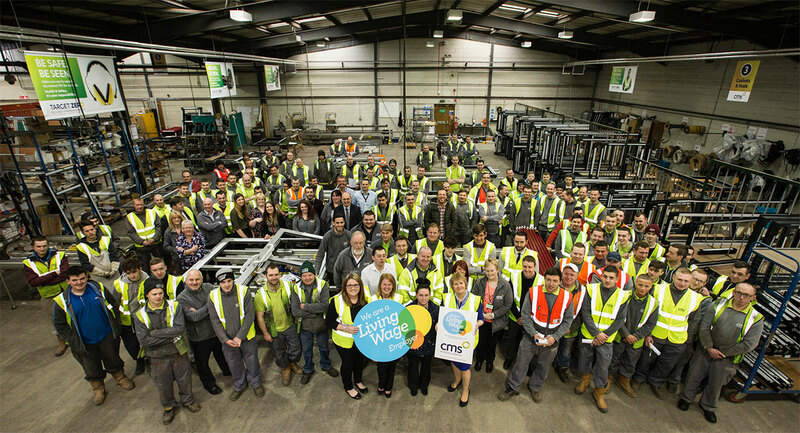 Trafford Housing Trust is the first Housing Association in the UK to become a Living Wage Friendly Funder. The scheme recognises funders that commit to supporting charities by funding posts at the Living Wage or above. Trafford Housing Trust has played an active role in promoting the Living Wage both regionally and nationally for a number of years – as an accredited Living Wage Employer, but also through promoting the Living Wage to others in the sector, encouraging suppliers to pay the Living Wage, and supporting the Greater Manchester Living Wage campaign. As part of their commitment to being a Living Wage Friendly Funder, Trafford Housing Trust supports successful applicant charities to its Social Investment Fund to pay the Living Wage to any grant-funded staff posts. Trafford Housing Trust’s Social Investment Fund offers grant funding of up to £100,000 over 2 years, to charities which are tackling poverty and inequality. Thousands of charities and funders have already embraced the Living Wage across the UK, but low pay remains a real challenge across the sector. “Low pay is a significant contributing factor to the levels of in-work poverty we see across the UK. We’re honoured to become a Living Wage Friendly Funder, so that we can play our part in supporting charities that we fund to pay their staff a real Living Wage. The Minimum Wage in the UK is currently £7.50 an hour in the UK, but the UK ‘real’ Living Wage, which is set independently and calculated in accordance to the basic cost of living in the UK, is considerably higher at £8.75, rising to £10.20 in London. “We are delighted to welcome Trafford Housing Trust as a Living Wage Friendly Funder. Responsible organisations across the UK are voluntarily signing up to pay the real Living Wage now, because the real Living Wage rate reflects the real costs of living.